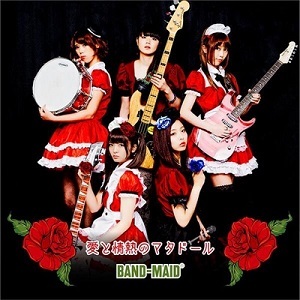 BAND-MAID (formerly known as BAND-MAID®), is an all-lady Japanese rock Band. Debuted in 2013, they performs in Gothic maid costume. They call their fans Goshujinsama (ご主人様) and Ojousama (お嬢様), or "Master" and "Lady/Princess" in English. Also they call their LIVE/concert as O kyuuji (お給仕), its mean "Serving" in English. The group aims to defy expectations with their look and sound. Their cute and submissive maid appearance contrasts with their wild and dominant rock music. Formed in July 2013, they only have 4 members. Miku recruited guitarist Kanami, who brought drummer Akane. And then Akane suggested bassist MISA (having know her previously from attending the same music school). With 4 members, they had their first live at the PP Audition held at Osaka Deep on July 24. Miku thinks that they need another vocalist to allow a larger variety of music with two different voice types. Saiki joined the group through an audition in August and they performed as a five-piece for the first time at the P Festival at Shibuya-AX on August 22, 2013. 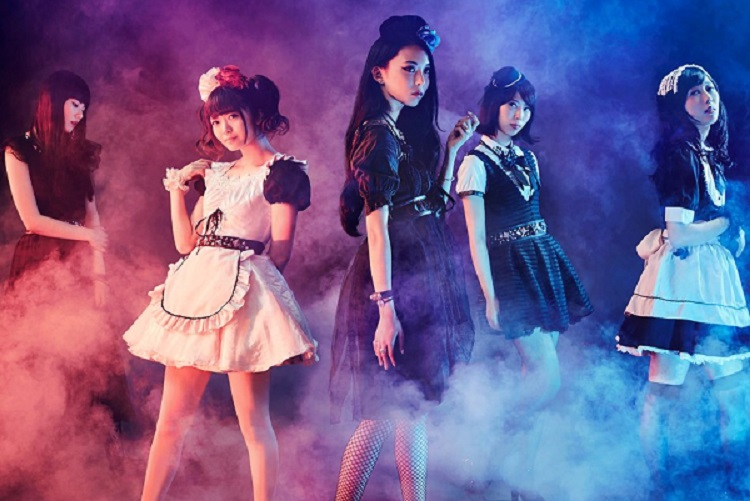 In August 2014, Band-Maid released their 1st single Ai to Jounetsu no Matador that consist of 3 tracks including Thrill. 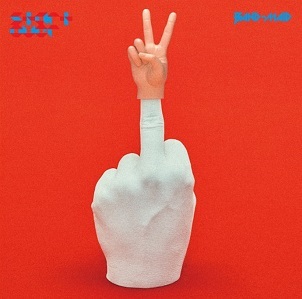 And then they released their 1st mini-album MAID IN JAPAN, written in collaboration with musicians Masahiko Fukui and Kentaro Akutsu (the latter formerly of the musical group Zero). This is the only album-cover that Saiki and MISA still use apron in their costume. They dropped the "®" from their name in April 2016 and released their 3nd mini-album (also their major debut) Brand New Maid in May 2016. After that, BAND-MAID went on their first world tour that took them to Mexico, Hong Kong and six countries in Europe. 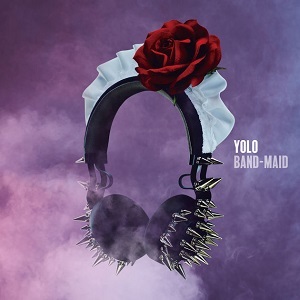 Finnaly in January 2017, BAND-MAID released their full-length album Just Bring It. It was preceded by the single YOLO, released on November 16, 2016. In Just Bring It album, Miku and Saiki wrote most of lyrics. Miku usually sports a traditional white and black maid outfit, with a red rose in her hair, and admits to goofing off regularly during rehearsals. She always said that herself is a pigeon, and usually end her line with "-po! ", with her “Kuruppo!” catchphrase. Saiki is the last member joined this group. With a cool and badass demeanour, she usually sports an entirely black maid uniform with a blue rose in her hair. She may look like a maid but she won’t give you a maid greeting and she certainly doesn’t have a Maid ‘charm point’. Saiki was not intitially told about the maid costumes as Miku felt she may not join. Instead, Saiki was told they would simply be wearing ‘cute clothes’. She only found out when she got in the studio for the first time and was taken by surprise, she hated her apron and discarded it. Despite once wearing a traditional maid uniform, she now wears long black dresses instead, or Assassin (殺し屋) Maid Outfit and don’t expect her to say much. MISA is known to like her whiskey, on the rocks or straight, and she also likes to drink during concerts. She has a hip flask or a “my bottle” which she keeps in her pocket. Starting with the piano at the age of 3 or 4, MISA has played instruments ever since she was a child and has been playing in bands since 2008. “I’ve been playing in bands for about 7 years but I’ve been playing musical instruments ever since I was 3 or 4 years old. I started on piano.”(MISA to jrock247, 2015). 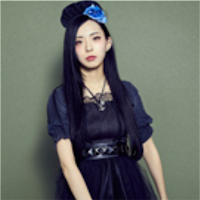 MISA attended the same music school as Akane and when the band needed a bassist Akane asked MISA to join BAND-MAID. Kanami usually wears a black and white maid outfit with a lace bonnet and prefers to be called Kanamincho (or Mincho, for short). The band members describe Kanami as a strange, natural airhead, clueless to situations and she’s just as you see her. However, when it comes to rehearsing she is the serious one of the group, usually being the moderator and keeping everyone in check. 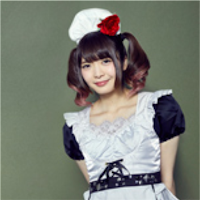 “Not all BAND-MAID members wear really frilly maid costumes. We each have our own style, so our maid costumes match each member’s personality. I like how it looks cute and gives a lady-like impression.” (Kanami to jrock247, 2015). 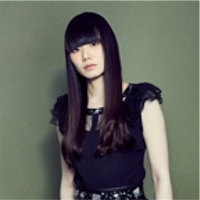 She is skilled musician, Kanami has played the piano for 15 years and the guitar for 8 years. 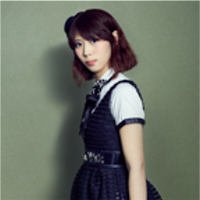 Kanami is also a singer-songwriter and used to play guitar and sing at the same time. Although they weren’t a band, Akane supported her with the drums. Kanami then invited Akane to join her in BAND-MAID. Akane is the band leader and is in charge of organising the band’s rehearsal and performances. She usually wears a black and white maid uniform, as well as a small hat. Her Maid ‘charm point’ is that she has a really big appetite: She boasts that she can eat 5 bowls of ramen, 30 plates in a Kaiten Sushi and 130 bowls of soba. The band members describe her as being the most organised and normal of the group. 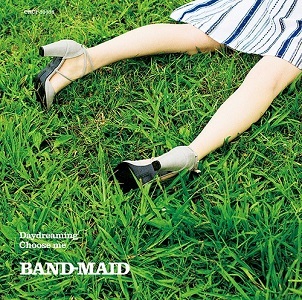 When Akane first found out that the band would be wearing maid outfits she was initially apprehensive, “Could you let me think this over it just once?”, but, after hearing the heavy rock sound, the contrast intrigued her and she agreed. She is known to set the mood for rehearsals, advising each band member on their performance skills. She is determined to remove the stereotype that young girls can’t play rock music or use their own instruments, “Crush that prejudice. Just crush it.” (Akane to jrock247, 2015) Which she believes that she can prove it wrong during their live performances. Akane is a talented musician who has been playing the piano for 4 years, the trombone for 5 years and drums for 6 years.